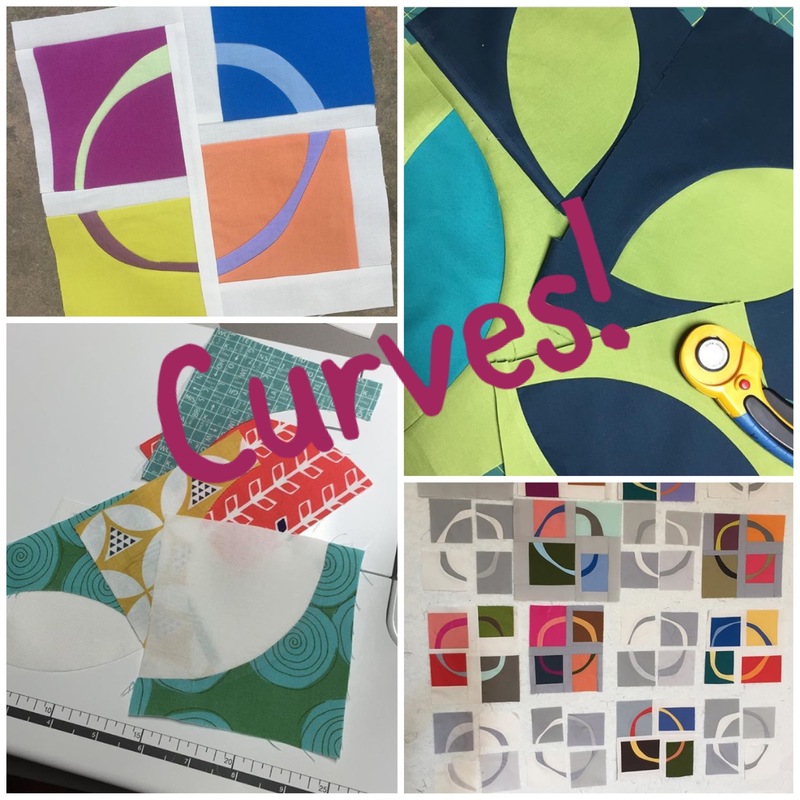 Posted on February 20, 2018 by Lisa B.
demonstrations on cutting, sewing, and glue basting improv and traditional curves. We’ll also continue our discussion about the modern mini challenge. This month the topic is design tips. If you weren’t at the last meeting you can still sign up! Ann Unes will have destash fabric for your shopping pleasure. Any member is welcome to bring destash to sell. There is a $10 fee that goes to the guild. Sign up for the April workshop begins this month– Reserve your spot!